Note: We would like a projector and speakers for this workshop if at all possible. This workshop summarises the Students for High-Impact Charity (SHIC) workshop that is available for senior secondary school classes. 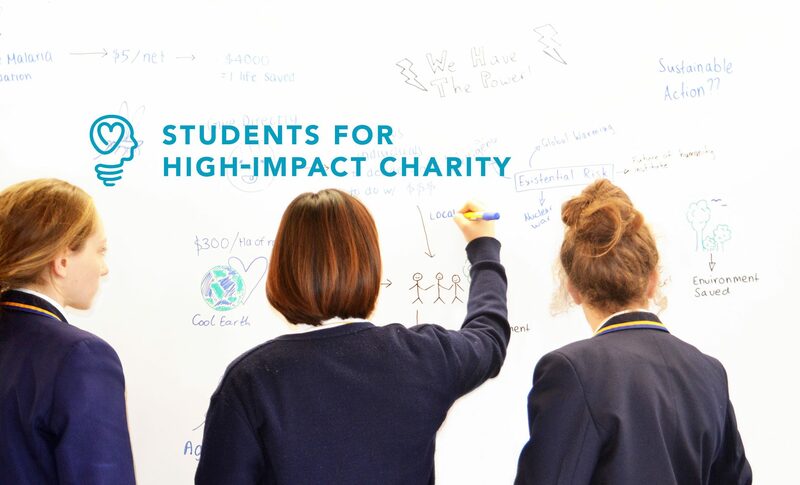 Students for High Impact Charity (SHIC), is an international non-profit, dedicated to guiding students to maximise their positive impact on the world through the use of critical thought and evidence. We offer a free workshop for schools to be run during class time. The full version of this workshop is spread across three to four periods (typically taking three to four visits) but, if your time is limited, we are able to run a 1 to 1.5 hour standalone workshop. The workshop at the BCSSTA conference will highlight the importance of applying critical thinking to doing good, how it is relevant to Social Studies, and give an overview of what SHIC can offer your school. You will get a taste of the SHIC workshop by participating in a charity competition, which is one of the workshop activities. This involves evaluating several global health and poverty charities to find out which one does the most good. Each participant will be given $5 to donate to the charity the group chooses. This will give you a thorough impression of the kind of interactivity that is typical throughout our workshop. The purpose of the activity is to illustrate to students how the very best charitable interventions can only be discovered through a combination of rational thought and scientific research. A more detailed look at the current state of extreme poverty, and consideration of how obligated we should feel to try to alleviate it. An examination of the welfare of farmed animals and what we might do to most effectively mitigate their plight, should we think such creatures should be included within our circle of compassion. A brief look at various catastrophic risks (e.g. climate change, a pandemic); how likely they are to occur, what we can do to prevent them from occurring/reduce their negative effects and how concerned we should be with such causes compared to present day problems (such as the ones listed above). Various important factors to consider when choosing a career path, should students be keen to make a positive difference through their jobs. Determine and assess long and short-term causes and consequences. Teachers of Social Studies 11, Philosophy 12, Social Justice 12, Economics 12, Human Geography 12 and other related subjects. David Vatousios is the Vancouver-based presenter for the SHIC program. Since the start of the year, he has worked with students at numerous schools throughout the Lower Mainland. He is a trained actor with a BA in English Literature from the University of Melbourne. Before joining SHIC, he toured schools delivering a presentation about common issues for teenage boys.